This week’s edition of Antelope Intros features a University counselor who enjoys hiking and going on mission trips. The other is a videographer who is big on CrossFit and romance. Both have a special place for their families. 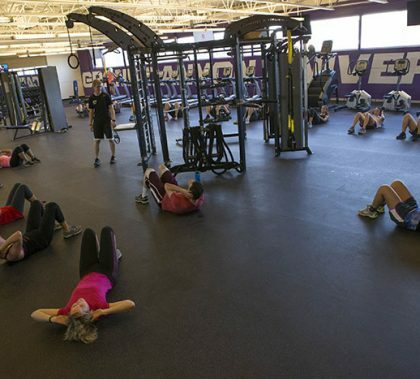 The Lopes Performance Center has more options than ever for students and staff, and the building soon will be expanded to make room for more workout areas and sports medicine equipment for student-athletes plus a Gatorade Fueling Station to aid in their hydration and nutrition. A new workout room on the second floor is reserved for students and staff, and the six boot camps a week have the room all to themselves. It’s all about creating community — in this case a fitness community. 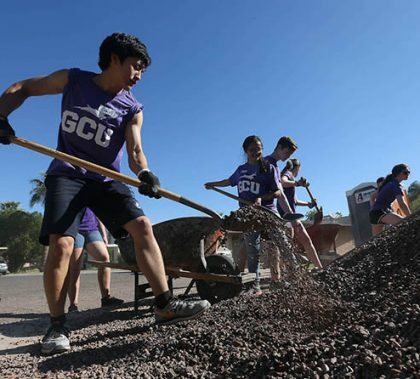 A new program in the Honors College will equip 100 ambitious students with basic project management skills and offer an opportunity to execute GCU-sponsored research projects as part of a 10-week Project Management Fellowship. 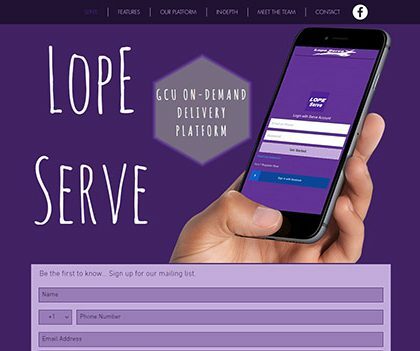 For freshmen Jordan Montgomery and Anthony Novoa, the program is an opportunity to execute their own idea for a GCU on-demand food-delivery platform. “We want to bring students and faculty together and continue finding a ways to set them up with opportunities that are going to be beneficial to them,” said Breanna Naegeli, assistant dean at the Honors College. The semifinal series between the Phoenix Mercury and Minnesota Lynx — who each have won the WNBA championship three times — starts Wednesday in Minnesota. 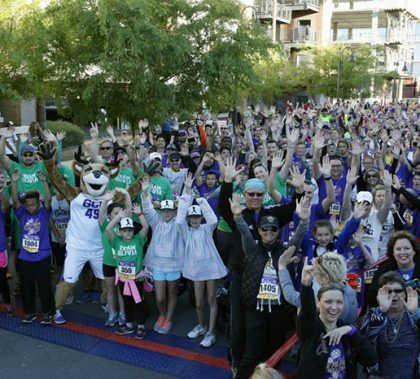 If the best-of-five series extends to a Game 4, it will be on Tuesday, Oct. 4, at GCU Arena. 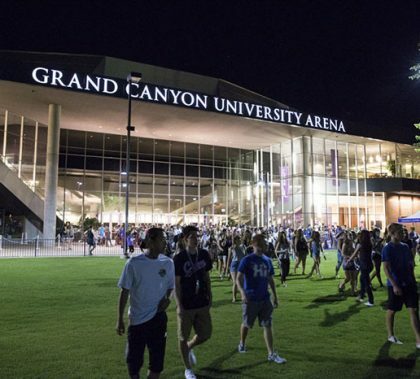 Hosting a WNBA playoff game is a win for GCU, whose facilities — and Thundering Heard Pep Band, which was invited to play — would give the University national exposure on ESPN2. 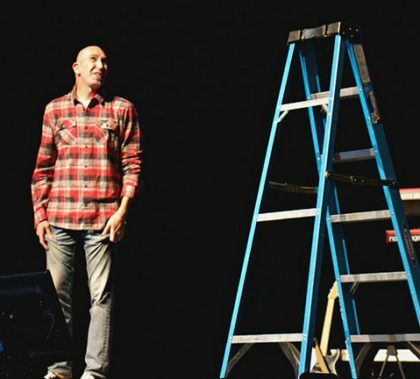 Ron Merrell uses a comedic and delightfully quirky tone to get across his message, and Monday at Chapel he also used a ladder to tell the story of Jonah. Merrell’s passion for Jesus Christ resonated as he urged his listeners to love each other and love themselves as they keep trying to climb the ladder of life. GCU has taken a starring role in a new science, technology, engineering and math initiative geared to training K-12 teachers to better prepare Arizona students for computer science and information technology careers. When her daughter was bullied several years ago, GCU counselor Kristan Farley was looking for a way to help. Some advice from Farley’s sister inspired her to write and self-publish “What’s True about You?”, a book designed to help children shun negative messages. A Christian publishing house was so impressed, it’s republishing it next spring.